Each year, there seem to be more and more great Kosher wines to choose from. Just take a look at the Bottles Kosher wine section, and you’ll be impressed by the range and quality of wines available. Here are just a few highlights that we find to be particularly wonderful for Hanukkah and your holiday dinners. Happy Hanukkah! Terra Vega Cabernet Sauvignon is a lovely Cabernet Sauvignon from Chile with extremely soft tannins and a nice note of cherries. Borgo Reale Chianti is a Classic Italian Chianti with notes of black currant and raspberry with mouth watering acidity that will pair well with red meat. Cantina Gabriele Pinot Grigio is a crisp and balanced white wine with notes of lemon and lime, perfect for pairing with chicken. 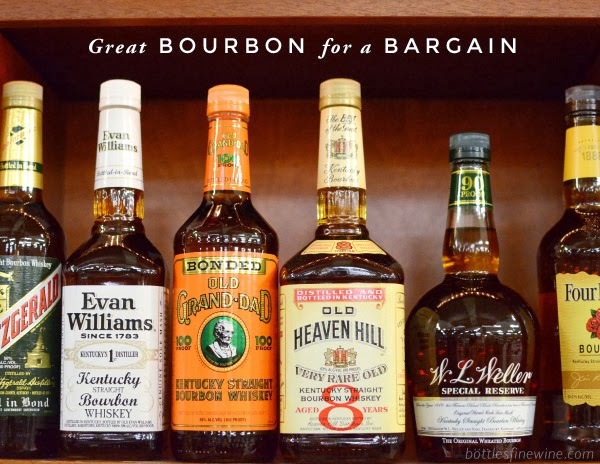 Besides our Kosher wine section, Bottles carries many more beers, spirits, and mixers that are Kosher. A few favorites are Wiser’s Whiskey, Stirrings All Natural Cocktail Mixers, Milagro Tequila, Brooklyn Brewery Chocolate Stout, and many more. Just ask a Bottles staff member for guidance! This entry was posted in Learn About Wine and tagged hanukkah wines, kosher wines, top kosher wines for hanukkah on December 8, 2014 by bottlesfinewine.